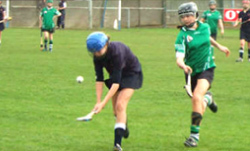 An extensive sports programme is carried on throughout the school year, coordinated by the P.E. teachers with the assistance of coaches and parents. The school has two astroturf pitches, one full and one half sized pitch. There are basketball and tennis courts and a fully equipped Sports Hall with a gym. 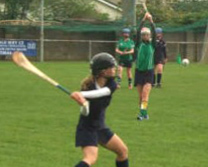 Teams represent the school in Loreto, Leinster and national competitions.